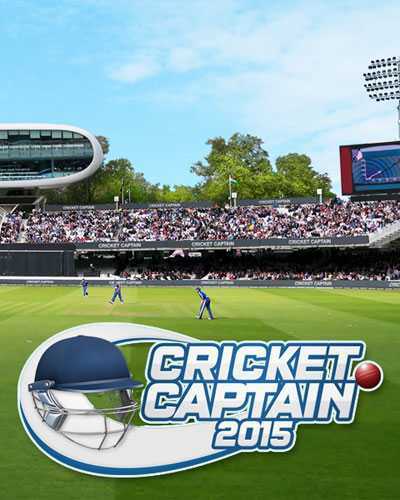 Cricket Captain 2015 is a Sports and Simulation game for PC published by KISS Ltd in 2015. England Cricket tournament has been started! Your team is invited to this championship too. You will be a manager at this game. Leading the team rightly is the player’s duty. If you don’t know anything about Cricket, Don’t worry. Because there is a tutorial part for the amateur players. The details of this Cricket game can be seen easily at this part. When you read them carefully, It’s the time to create the team. You will have limited money at first. So, It’s impossible to get the famous players from all around the world. That’s why you have to start with young players. Their salaries aren’t so much to pay. You can also make them professional ones. They can be moved to the other teams by getting money. A great manager is a person who can change the normal players to the famous ones. If the player wants to get a Cricket Player in Cricket Captain 2015, There should be enough money for that. Winning the matches can be a good way for earning money. Transferring the members in the right time can be a good way too. You should use good tactics for the team. Otherwise, They will lose the games. By winning the tournaments, Your team will turn into an honorable team in the world. Your main goal is to win the tournaments one by one. The playgrounds have been designed well in Cricket Captain 2015. You shouldn’t expect high graphics from the developers. Because this is a management game. 222 Comments ON " Cricket Captain 2015 Free Download "
Copying the crack will fix this problem. You need to copy the files from Crack folder to the game’s installed folder. the error shows steam no initialized the steam client must be open to play the game ??? There is a crack folder in the compressed file. bro what is the password i have given it many time but it says wrong.please help me and tell me the procedure to install i have winrar. Having copy and pasted the crack file- it only copy and pastes parts as my computers virus check prevents the rest happening. Any advice on how to sort this out? You have to turn your antivirus off when you want to do it. bro help me kis trha chalye gi game 2015 ? bro the password u have given here is wrong it dont work kindly tell me what to do next??? koi bta sakta ha step by step ??? How do you open the game? I’ve opened the steam_api.dll with steam but it still gives the error of: Steam not initialised. The steam client must be open? PLEASE help. Can’t you just give activation code? You should copy the crack files into the game’s main path. Stream not initialised, the stream client must be open to play this game. Copy crack files to the game’s main path. Ali bhai copy kar ke kiya ha lakin nhai chal rahi ?? It works as well. Which error do you get? how can i fix this error or bug ? Stream not initialized, the stream client must be open to play this game. Copy the crack files into the game’s main path. what is the main path? how can i fixed this error ? help me bro i cant understand the main path crack folder etc..
Do it by administrator user. where do i hv to copy the crack files? I installed this game but when I opened the game it written that MSVCR110.dll is missing from your computer..what can I do? You should copy the second file to the game’s main path. can you send me crack files in my gmail account …. The crack files is in the compressed file. Don’t copy Crack folder. Copy the files inside it. Is it really working? I have been trying this game past so many days! I am a die hard fan of this game! tushar this game is running ??? how to update it for playing internet game? Mr. Ali. I tried copying the files inside the crack folder to the folder where the game is installed but it is still showing the same error. Steam Client not initialised. What should I do? It would have been better if u had written steps to download to avoid confusion!! I don’t know how to open the steam file. I don’t know the main path. Please help. is internet game working with this version? my program can’t start because of MSVCR110.dll is missing from my computer. What is it? I have copied the file steam_api but still shows the same error. what to do next?? I have copied the file steam_api from the crack folder to the game’s root folder but it still shows the same error. Steam not initialized.The steam client must be open to play the game. Disable all the antivirus and copy all the crack files in installation folder it will work. ALi bhai compressed file is showing empty! it will work for macbook? after installing it says MSVCR110.dll is missing. Try reinstalling the program to fix this problem. Even after pasting the crack file I get the same error. Can you help? brother, when i copy the crack file, a notepad page opens and the problem remains..what to do? it doesn’t work bro… here is problem in the crack files.. The program cant start because Msvcr110. dll is missing.? Hi I have a problem it says “please insert disc 1” and I dont have any discs? That’s the problem which i am facing too. That’s the same problem which i am facing too.same to you Rajat. bro i copied the crack files but still same error steam not intialised..
after coping the steam.api from the crack folder to the games main folder it still shows the same error. can u please help me. I copied the crack files into C:/Program files. I still get the same Steam message. The Application was unable to start correctly (0X0000022). Click OK to close the application. when I click ok it deletes the steam_api.dll file. I have installed/uninstalled it as well. man what to do it is saying steam not initialize. the steam client must be open to play this game. Does it need steam app to make the game work? It is saying that MSVCR110.DLL file is missing from your computer……I have installed whole game and copied crack file into game folder and yet it is not working Please help me friend. it requires the 2nd disk.. where is the 2nd disk???? it requires a 2nd disk.. where is the 2nd disk???????? Does this game works in android? when I install this game it shows a message – setup needs the next disk. Can you say what it mean. When I install this game it say that insert disk 1. What it mean. o wao.it worked for me.thanks a lot bro. I have copied the crack folder to the main path but it says, Thee program can’t start because steam_api.dll is missing from your computer. Try reinstalling the program to fix this problem. One more Thing I have played it on windows 7 but it is not working on Windows 10 can u help me out Please. That’s the problem i am facing too.same to you Shari. i am also facing fatal error problem. please fix it first and re-upload this game. Ali bro. I Installed the game then tried to copy the crack files, but it is not being copied to the destination folder. it says that you need to have administration permission. but im myself the admin. please tell me how to fix it. Hi. I downloaded the game. Copied files in the crack to the installation folder. Ran as administrator and still it says steam not initialized. DO i need to download steam? thank you very much. it’s working. and by the way, a great game. Bro i downloaded the link you have provided but i’m having a problem with installing the game on my laptop, every time i click on ” steam_api.dll” it takes me to Acrobat Reader DC and this is what it says “Adobe Acrobat Reader DC couldn’t open cricket captain 2015 because it is either not a supported file type or because the file has been damaged (for example, it was sent as an email attachment and wasn’t correctly decoded)”. Bro please tell me how do I fix this problem ? copying the crack files does not work.i need help. What is a password this game? Copied the files still asking for steam.. Please help or the close down the website now! What’s this bro ‘The program can’t start because steam_api.dll is missing from your computer Try reinstalling the program to fix this problem’ So I reinstalled but still it’s showing that ‘The program can’t start because steam_api.dll is missing from your computer Try reinstalling the program to fix this problem’.Please tell me the solution. no cursor is showing me on the screen then how should I add the name??? plz tell ? ?